There are 5 specific disciplines in that you are qualified to work in following the completion of your CSMLS exam. Having the option to work any of the 5 along with a few other things is a great advantage, especially during a time when the economy is bad. Clinical Chemistry (also referred to as Biochemistry) - Running patient samples on machines to analyze chemical levels in blood, serum, csf, stool, urine etc. Typically measuring ions such as chloride, sodium, potassium, as well as glucose and pH. Also can test levels of hormones, drugs, alcohol, vitamins, ferritin and immunoassays.More specialized tested may be needed which can involved osmometry, gel electrophoresis and manual immunoassays (ELISA). It is a very broad category and the labs run 24/7 as these measurements are extremely important and time sensitive. Hematology - Studying the aspects of the patient's blood. Most common is CBC (complete blood counts) which can be run on an analyzer as well as done manually. This counts the 5 WBC (white blood cells) as well as the quality of RBCs. 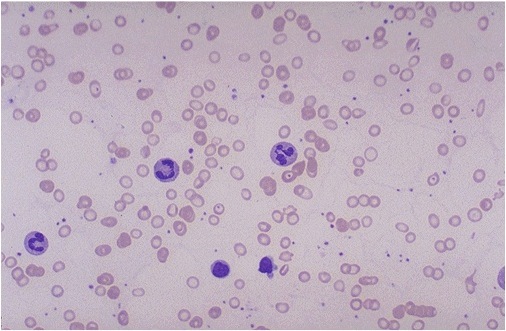 If abnormal may have to make a blood smear and analyze smear for abnormal RBC morphology and abnormal white cell morphology. Important to identify the severity of an infection and possible type of disease or infection present. Coagulation studies also important part of hematology. Histotechnology - Preparation of tissue specimens to be analyzed by a pathologist. Responsible for grossing and accessioning surgical specimens, processing tissue, embedding tissue, microtomy and staining. May assist in performing autopsies as well. Microbiology - culturing and identifying organisms present in sample. Typically received as a swab, sputum or csf but can also receive a blood culture. Along with identifying possible bacteria, fungi or parasites; antibiotic susceptibility testing to determine correct antibiotic to treat infection. This lab is typically a 9-5 job but may extend if at a core lab in a hospital. Transfusion Science - Testing donor blood to determine its suitability for use in transfusion, determining blood groups, performing pre-transfusion testing, and investigating related medical disorders. Very challenging and important discipline because it is easy to kill someone if a mistake is made. Bonus Disciplines: Aside from working in this 5 core disciplines, you may work in a few other positions following graduation. Phlebotomy - Collecting blood specimens from patients. Medical Sales Representative - Representative for medical products. Acts as liaison between company and hospital. Quality Assurance - Working with team to ensure laboratories are running properly and efficiently. Infection Control - Team of people in a hospital responsible for preventing and dealing with outbreaks. Usually need a few years of work experience first. Research Assistant - Working in a research lab. Medical Equipment Technician - Repairing machines and troubling shooting issues. As you can see, there are quite a few opportunities once you have completed your Medical Laboratory Science program. Hopefully something sparks your interest and you can see yourself working in one of these positions. I know for me, I really enjoy Microbiology and Chemistry and I hope to work in Infection Control one day!